Look At This 15-Foot Tall Sign In California That Will Make Sure You Get A Ticket. If you think parking is bad where ever you live, think again. This picture is of a street sign in California and is approximately 15 feet tall. I don’t even know why anyone would need or want such a ridiculously tall sign other than for novelty. 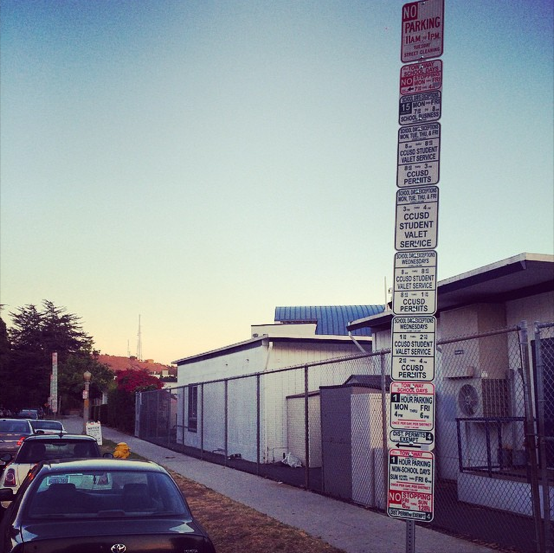 Good luck not getting a ticket parking by this thing, which is located in Culver City, CA. This thing is so complex it may only be suitable for the likes of Nicolas Cage, although I’m sure the only treasure here is knowing whether or not your going to get towed.